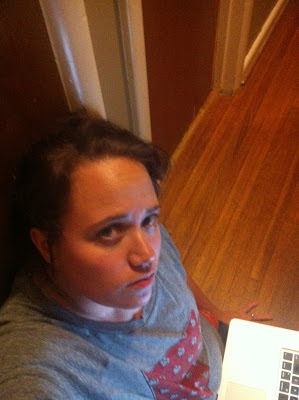 Hanging out in the hallway with all the doors closed listening to the sweet, sweet January lullaby of tornado sirens. I am not amused. I was doing the same thing last night minus the torado sirens..